• An entry level trolley with a modern design. 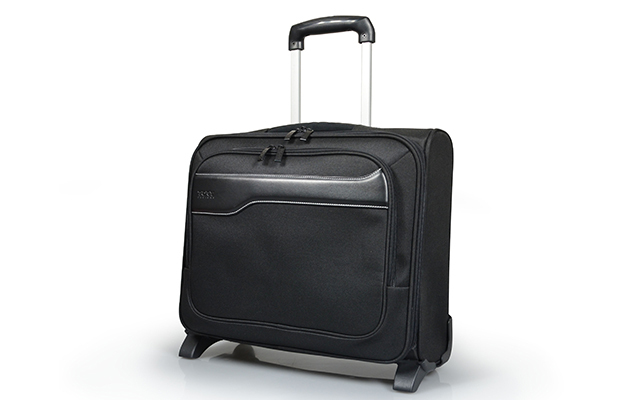 • Efficient and popular wheeled bag, designed to carry your professional and personal belongings. 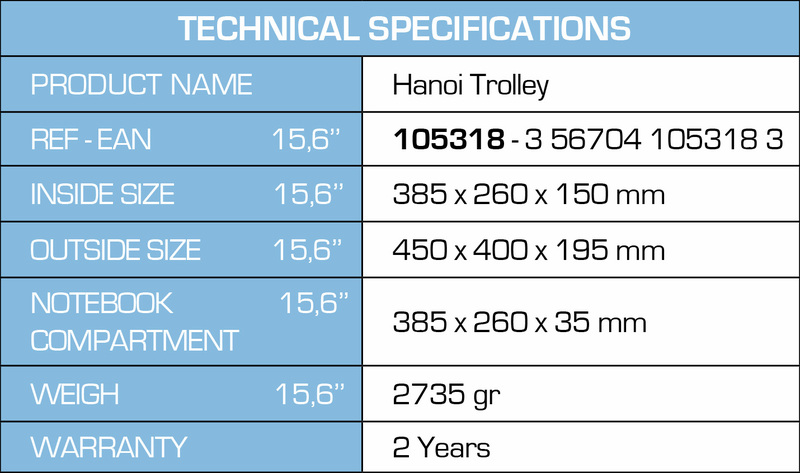 HANOI Trolley is an efficient and popular wheeled bag, designed to carry your professional and personal belongings. Its modern and discreet design was developed by our designers in our creative studio in Paris. 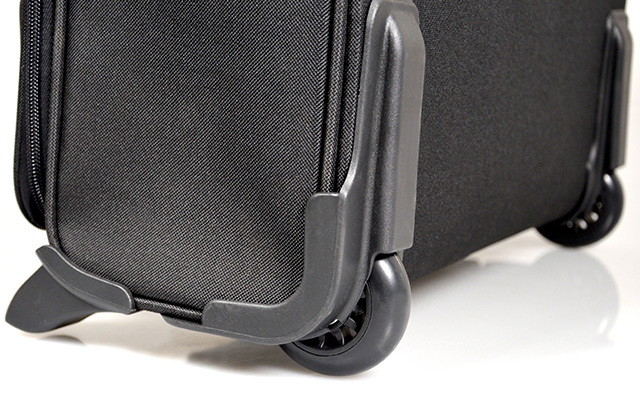 This Trolley complies with the IATA dimensions, which means that the trolley can be used as cabin baggage. HANOI Trolley has a 15.6'' reinforced notebook compartment, secured with Velcro, as well as a 10.1'' reinforced tablet compartment, also secured with Velcro. 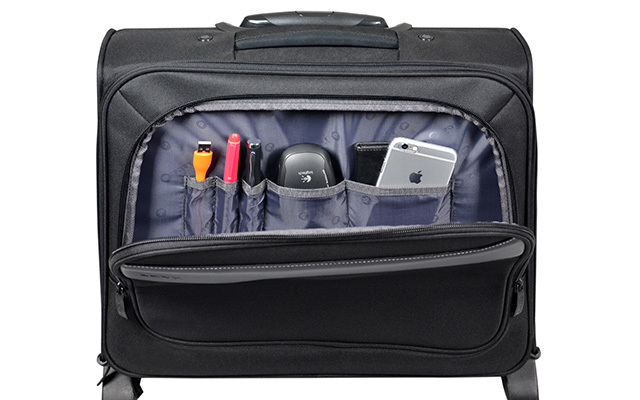 A front pocket with an organiser means you can store all your accessories. The trolley part of the bag comes with an aluminium trolley arm, ultra-silent wheels, protection bars at the bottom of the backpack and ABS foot for perfect stability in a vertical position.